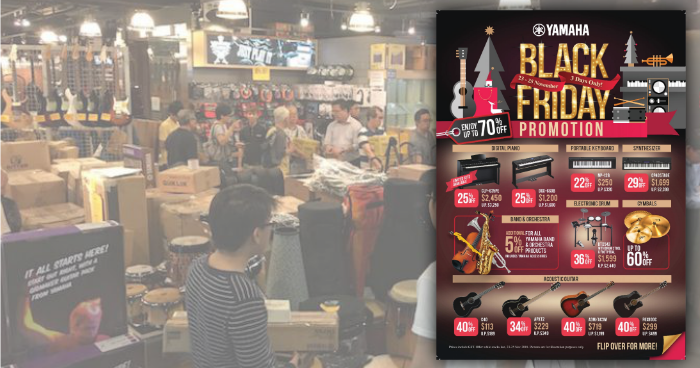 Yamaha Music is having the best deals on musical instruments for Black Friday 2018. Enjoy up to 70% off Digital Pianos, Guitars, Drums & More! 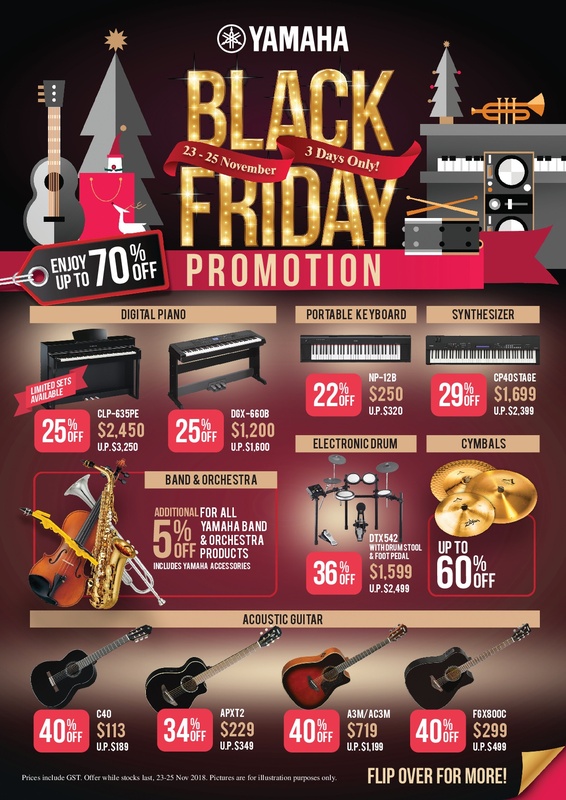 Black Friday is coming to Yamaha Music. 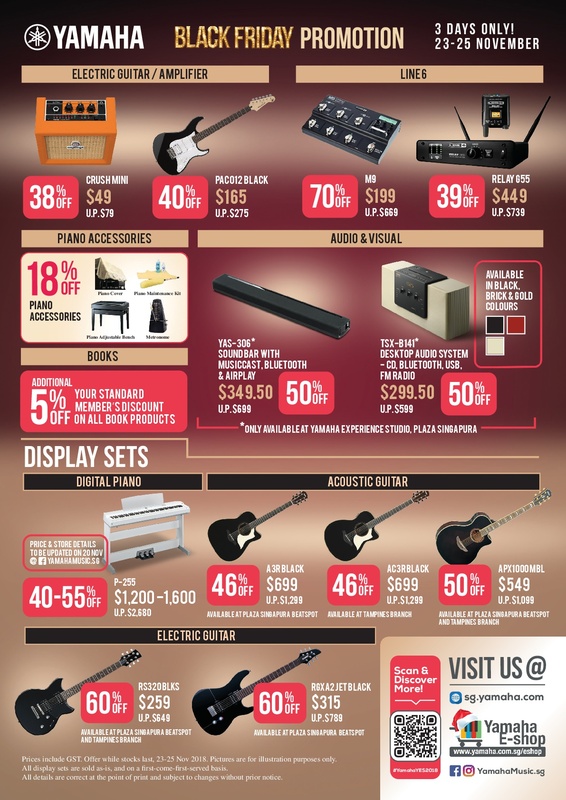 Expect to save big at the Yamaha Black Friday Sale. Yamaha Music, one of the world’s biggest retailers of musical instruments, will be slashing their prices in the run up to Christmas – and that means there are plenty of bargains to be had. With great deals and huge savings of up to 70% on Yamaha Digital Pianos, guitars, drums, amplifiers and more, there’s no better time to get your hands on these deals. They say: With the Yamaha CLP-635 you’ll see and hear the difference straight away. With a cabinet styled finish of a traditional upright piano to the plethora of amazing sounds and features you won’t be disappointed. Featuring the amazing GH3X (Graded Hammer 3 with escapement) key action you’ll feel that you’re playing a real grand piano. There’s also a new control section containing a compact (and backlit) LCD display which conveys all the information required at a glance. Operation is simple and very ‘ipod’ like, with navigation taking place with simple cursor keys. Selecting a sound is also easy with the dedicated voice group buttons, and with 36 voices available you won’t be stuck for choice. ‘Binaural Sampling’ ensures that you enjoy the highly realistic sensation of playing a concert grand piano even when you are using headphones, and with a wealth of other features like Key-off Sampling, String Resonance and Damper resonance you’ll be amazed at the incredible detail that the CLP-635 offers. There are also 20 Rhythms for you to play along with as well as a full 16-track sequencer to record your performances. 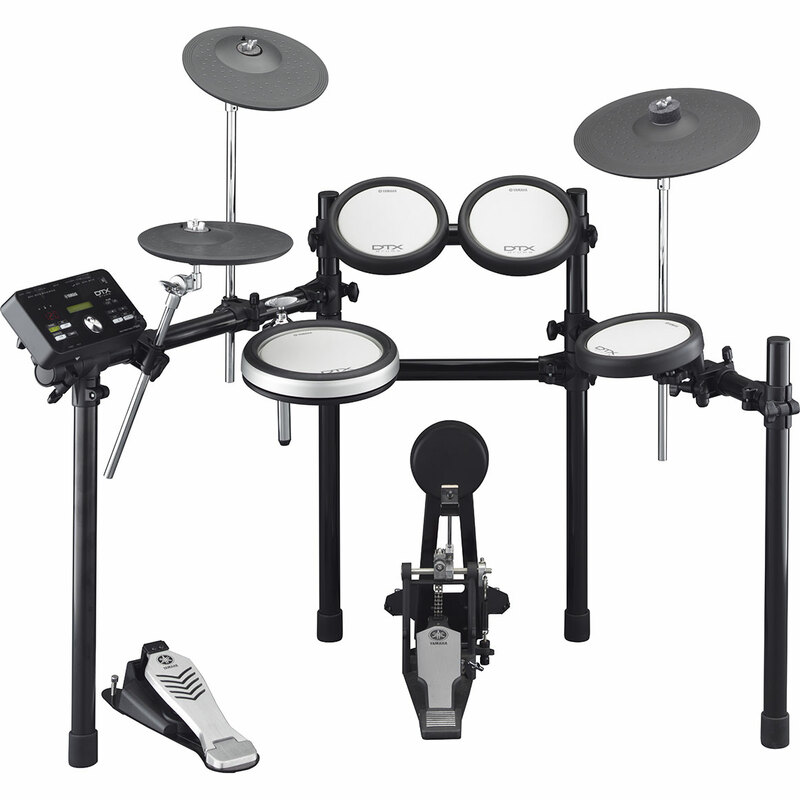 They say: Because the DTX-PADs offer a playability that is close to acoustic drums playing the DTX542K is more comfortable, helping to improve your drumming the more you play, and the pads integrate naturally into a hybrid kit. The DTX502 module includes 691 drum, percussion and effect sounds and offers comprehensive training functions, practice songs, and easy MIDI recording. The USB port allows plug and play control of VSTi software and lets you import custom wave files. They say: APX’s thin-line body combines incredible comfort, easy top-fret access and a sound perfectly suited to on-stage use with bright, clear mids, balanced highs and controlled lows. Specially designed non-scalloped X-type bracing allows the guitar’s top to sing and maximizes the resonance of the unique body shape for a full, natural tone. 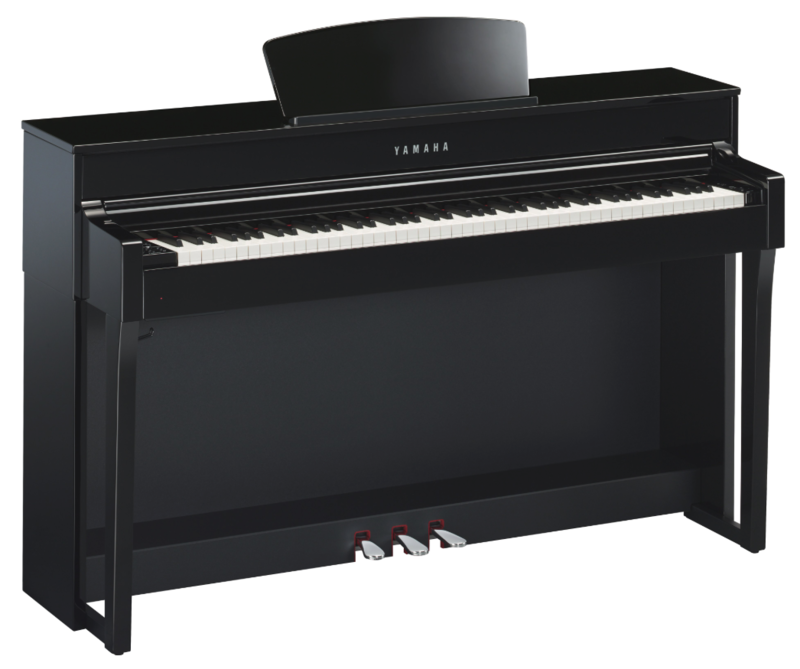 They say: The Yamaha CP40 Stage brings you stunning grand piano sounds based on the Yamaha CFIIIs grand from Yamaha’s Premium Collection. On top of that, you get 35 vintage EPs and hundreds of sounds from Yamaha’s flagship Motif workstation. You’ll appreciate the natural feel of the 88-key graded hammer-action keyboard and its intuitive interface, which lets you easily create splits and layers quickly, thanks to the simple layout and large lighted buttons. 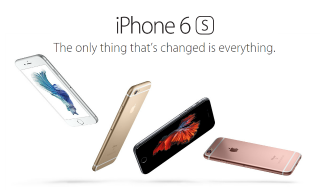 And with its trim design and light weight (only 36 lbs. 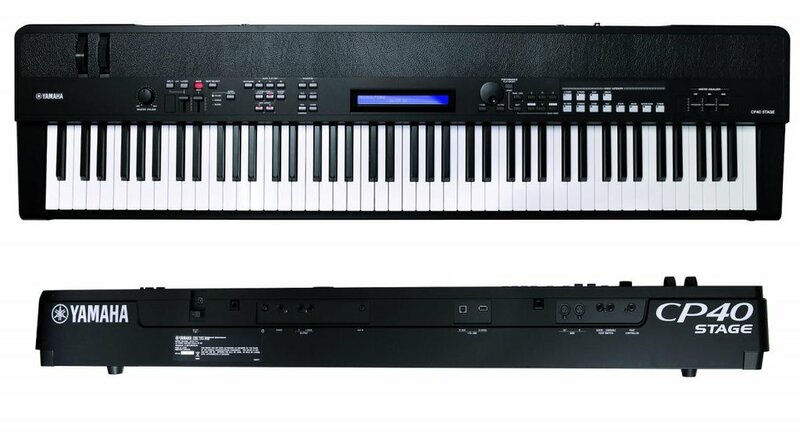 ), it’ll be a pleasure transporting the Yamaha CP40 Stage to your gigs. 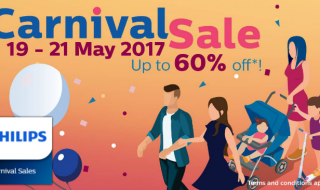 The much anticipated Philips Carnival Sale returns this 19 – 21 May. 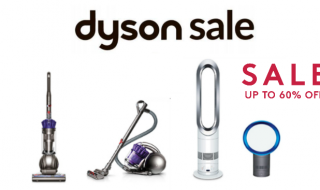 Enjoy Philips products at up to 60% off!